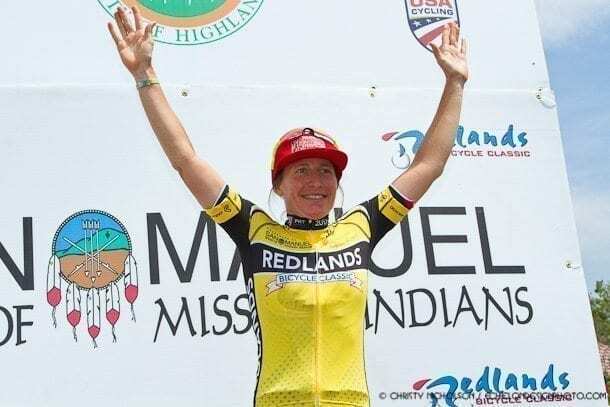 Irvine’s Amber Neben (Team Velo Concept) and Joey Rosskopf (BMC Racing Team) both rode the fastest times to win the 2017 Pro Time Trial National Championships, which are taking place in Knoxville, Tennessee. UCI Individual Time Trial World Champion Amber Neben posted the fast time of 30:27.45 on the 14.4 mile course to take the win ahead of Lauren Stephens (TIBCO-Silicon Valley Bank) in 2nd who posted a time of 30:59.08. Leah Thomas (Sho-Air TWENTY20) rounded out the podium for 3rd with a time of 31:31.86. Joey Rosskopf was crowned US National Time Trial Champion in Knoxville today after an impressive performance saw him take the title ahead of BMC Racing Team teammate Brent Bookwalter. After setting off in the second-to-last wave of riders, Rosskopf settled into an impressive rhythm quickly, posting the provisional best time at the halfway point of the four-lap course before powering across the line to move into the hot seat. As the final riders set off, Rosskopf’s time of 36’25” remained unshaken and eventually it proved enough to see him take the title and the stars and stripes jersey for the first time in his career. Bookwalter was the final rider to start his 19.2 mile effort and out on the course, he put in a strong performance to clock the second-fastest time of the day, 57 seconds behind Rosskopf, and head onto the podium. I’m probably the least surprised today at his performance. 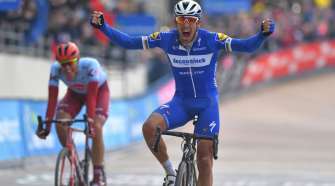 He may be one of the most under-rated riders on the team,” added Bookwalter about his teammate’s victory. On Sunday, the road races will begin for the women at 9 a.m., followed by the men’s road race at 1:15 p.m. 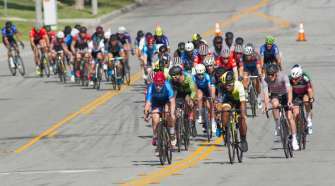 This 7.9-mile circuit will be covered eight times by the women for a total of 63 miles and 14 times by the men for a total of 109 miles. 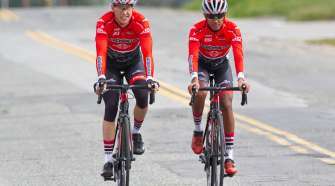 Watch the Road Race Live on SoCalCycling.com.